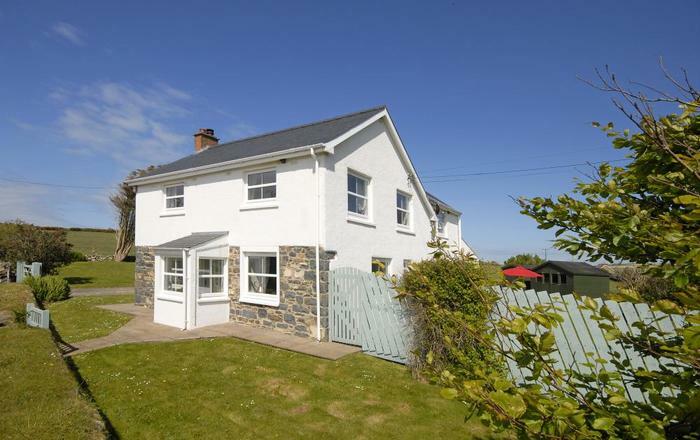 The cottage has a traditional layout with sitting/dining room and kitchen downstairs with slate floors throughout and upstairs three bedrooms and the family bathroom. Outside the cottage the owners have created a good sized patio garden with planted borders and outdoor furniture. The Swan Hotel and The Newby Bridge Hotel (both open to non residents) are only 1.5 miles away. A short 2.5 mile drive takes you to The Lakeland Motor Museum and enjoy a coffee on the banks of the River Leven at the great Cafe Ambio and if you fancy a little longer drive (5 miles), you must try The White Hart in Bouth, a lovely little country pub. 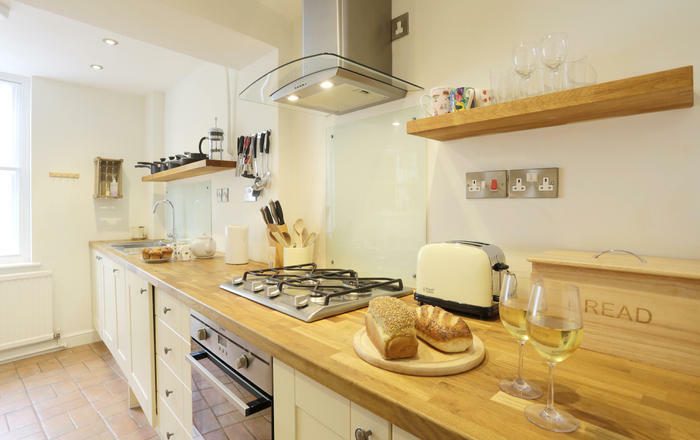 Most visitors to Low Mill Cottage arrive at the rear of the cottage and enter through the rear door to the kitchen. 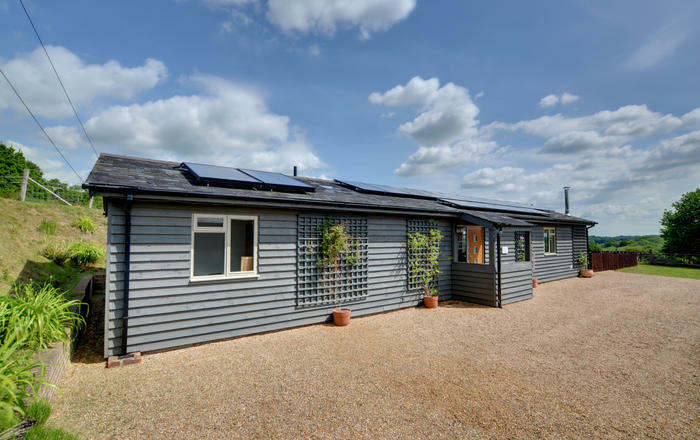 The fully fitted, shaker style kitchen, is well planned and includes a dishwasher, fridge, freezer and washing machine and is well equipped with everything you need throughout your stay. The hallway leads from the kitchen to the stairs, front door, sitting room and a downstairs WC that has been cleverly incorporated into the layout. The hallway offers hanging for coats and outdoor gear and there is a drying cupboard for boots. 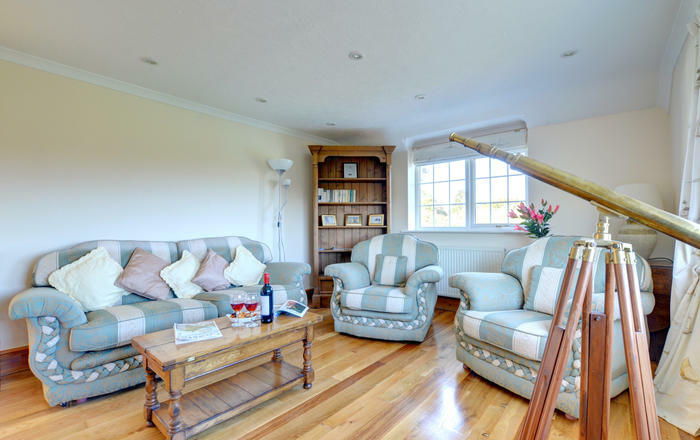 The dual aspect sitting room is the real heart of the home with comfortable leather sofas, a cosy log burning stove, a family dining table ideal for a dinner with friends or breakfast with the family. French doors lead directly from the sitting room to the patio to the rear of the cottage. 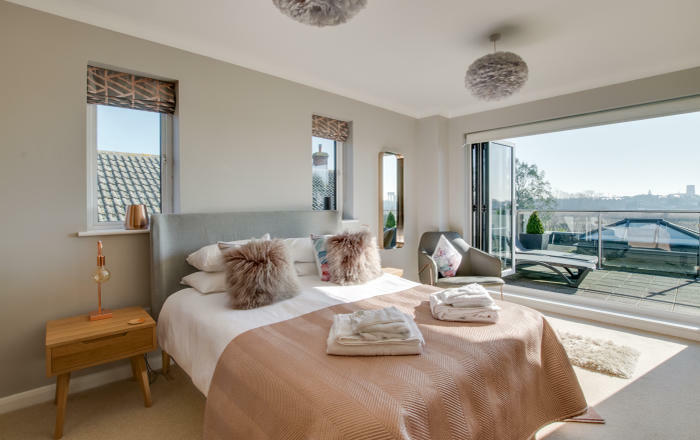 Heading upstairs, and leading off the landing, there are three tastefully furnished bedrooms to choose from; a king size double bedroom, a double bedroom and a single bedroom. The bedrooms are complemented with a family bathroom with bath with shower over, basin and WC. Heading back outside there is a spacious patio garden with planted borders and outdoor furniture including a bistro table and chairs, ideal for alfresco dining of simply just enjoying a morning coffee. Beyond the patio there is private parking for two small cars. Additional parking can be informally arranged with a neighbour on arrival (details are available in the cottage). 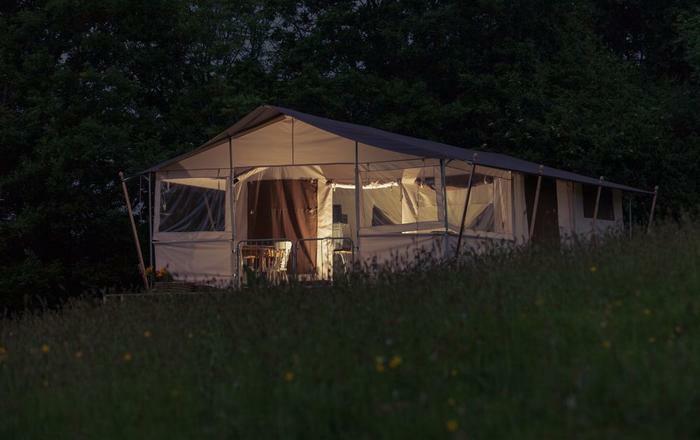 Lakeside is renowned as a peaceful Lake District holiday destination, nestled around the southern tip of Lake Windermere and away from the hustle bustle of the busier areas. But despite this, you'll find a wealth of things to see and do within easy reach - whatever your holiday tastes. Windermere Lake Cruises depart from Lakeside Pier, and ferry passengers the full length of Lake Windermere to Bowness and Ambleside - a wonderfully stress-free way to explore. The Lakeside Hotel is half a mile from the cottage and a mile further on, The Swan at Newby Bridge are both very popular and serve excellent locally sourced food. You'll find plenty of walking routes in the area; including Alfred Wainwright's Finsthwaite Heights route from Newby Bridge (adjacent to Lakeside). Also at Lakeside are two popular Lake District family attractions - the Lakes Aquarium and the Lakeside & Haverthwaite Railway. Lake District historic sites such as Holker Hall and Gardens, Cartmel Priory, Stott Park Bobbin Mill, Sizergh Castle and Levens Hall are all within easy reach by car, with no need to navigate through busy tourist areas. To your north west, you'll approach Esthwaite Water and the landscapes that famously inspired the children's author Beatrix Potter. Her former home can be visited at Hill Top, in the small village of Near Sawrey. Only a mile or so further, and you'll reach Hawkshead village - a wonderful place to while away a day, exploring quaint cobbled streets and a blissfully car-free village centre. For lovers of the arts or mountain bike enthusiasts why not head to the nearby Grizedale Forest, the UK's first 'Forest For Sculpture' and home to, among other, the awesome North Face Mountain Bike Trail.